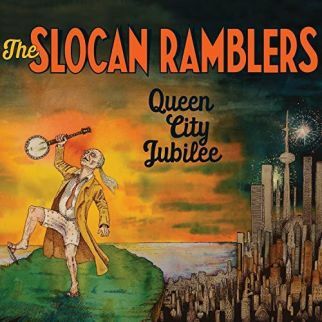 Choosing to translate their acoustic music through the power of a string band, The Slocan Ramblers offer a new release with Queen City Jubilee. The Toronto-based Canadian Bluegrass foursome tell the story of a lost freedom with the funeral pace of “Long Chain Charlie and Moundsville” as they freckle the air around their songs with notes and strums for the lover letter in “Just to Know” and look for light in the near future with “Sun’s Gonna Shine in My Backdoor Some Day”. Old time music informs the songs on Queen City Jubilee as the band travel the sad tale of “Mighty Hard Road” with Bluegrass traditions, The Slocan Ramblers picking up the pace as they head into an instrumental break with “Down in the Sugarbush” while the band rattles out a rhythm to mark the steps on “Hill to Climb”, and cure the “Mississippi Heavy Water Blues” with lightning fast picking and note perfect harmony. The Slocan Ramblers forge a path towards the future of Bluegrass balancing the Folkier side of the genre (“Hillbilly Blues/Deer on the River”, “First Train in the Morning) as Queen City Jubilee spins the sawdust with the barn burning beat of “Riley the Furniture Man” and welcomes “New Morning” with first light bright string band playing. 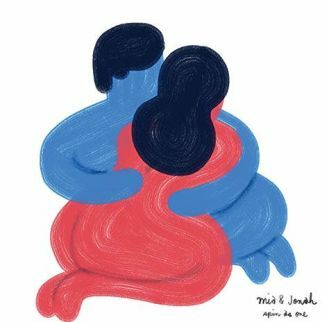 Beginning a life both personal and professional in 2003, Mia and Jonah have produced a daughter as well as three albums and one E.P. while building a home for family and career in Los Angeles, California. The recent E.P., Spin As One, backs the duo with an intricately formed backdrop of sound as Mia and Jonah are joined by Steve DiStanislao (David Gilmour) on drums, Seth Ford-Young (Tom Waits) on bass and Chris Pandolfi (Infamous Stringdusters) on banjo. 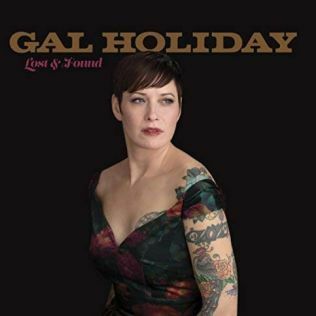 The music swirls around the vocals of Mia and Jonah on the title track while Spin as One follows the psychedelic sound of “Nightingale”, strums slow Country Folk for the tale of “Our Old Farm”, ushers in “Daybreak” on the soft rattle of percussion, and fleshes out “Sugarbones” on revolving waves of rhythm. 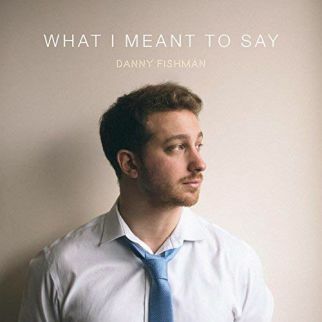 Shooting for hearts in a Pop song, Danny Fishman collects love letters on What I Meant to Say, making sure he gets the last word with singer/songwriter arrows that ask “Honey Won’t You Stay” while a late night voice rises up to affirm “I’m Gonna Be Okay”. Danny Fishman front loads the songs on What I Meant to Say with both heart and soul. Opening the E.P. “Flying Blind” strums up the words to spark the same feelings Danny is experiencing. The percussion propels the story of “Train Song” on the beat of the tracks underneath the departing engine as Danny Fishman sings his song while still standing at the station as What I Meant to Say fingerpicks guitar notes to flesh out “Shadow of a Man”. Southern Soul is a powerful beam of light breaking through the thick Northwest fog as Seattle, Washington-based singer Lady A delivers her recent release, Doin’ Fine. A rubbery guitar line teases the tale as Lady A asks questions on “Tryin’ to Get Over”, trips on a superfly Blues groove for “Throw Down”, builds a sturdy platform of sound for the goals of “Change the World”, and delivers a resume of rhythm as she boards a tour bus in the title track. 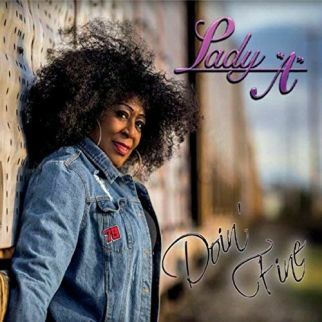 Lady A serves up her stew of Rhythm and Blues for with a raw grip on the vocals as she sinks into the rhythmic sway of “The Ride”, counts her blessings in “Roof Ova My Head”, warns “Next Time You See Me” on a determined beat. Lady A seduces “Catch Me on the Low” on a mean bass bump as Doin’ Fine introduces “That Man” on a dreamscape-thick rhythm and bids “Good to Know You” as an exit line delivered on piano driven Blues. The star that Pleasure Horse follows in the night sky is the warm glow of Cosmic Cowboy Country on their recent release, New Lonely. A death rattle is the rhythm in the story for “Baltimore” as Pleasure Horse strum the strings to greet down time with “Lonely (on the Weekend)” and lay delicate note patterns on the clip-clop prance of “Only One Down”. 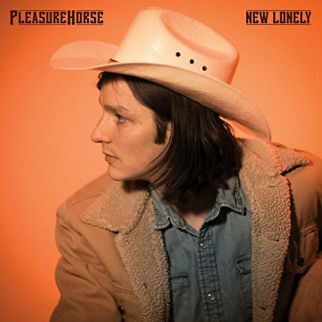 The echoes of Outlaw Country origins travel in the music of Minneapolis, Minnesota-based Pleasure Horse as New Lonely marks the passing moments of the day with a solid backbeat for “No Time”. Questions arise for Lawrence Lebo as she waits in line for the saving graces of coffee while the loudmouth behind her makes a call. It is before the first sip, so tensions are tight as Lawrence Lebo makes a request as she places her order with “Shouting Your Business”. 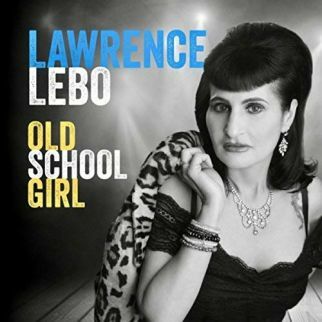 The track is from the recent release, Old School Girl, Lawrence Lebo proving the point of the album title as she simmers “You’ve Got a Secret” to a slow rolling boil with late night Blue Jazz while she uses an equally leisurely rhythm under the wish of “Happy Anniversary, Baby” and relies heavily on the warmth of organ notes to ward off the weather in “Stormy Monday”. The classic sounds of Memphis Soul that Stax Records distributed to the world is the soundtrack for Old School Girl, Lawrence Lebo juggling Rhythm and Blues in the songs as she slinks into “Give Me a Try” on a smooth groove and peppers the title track spice and a solid backbeat. A darkness moves like fast moving fog as Austin & Elliott open their release, Cradle and Crow, with the sluggish rhythm used to sway “Rocking the Cradle”. Based in western Massachusetts, Austin & Elliott craft ‘songs of love gone wrong and death done right’ with Cradle and Crow as they sadly spin the rhythm wheel for “Bleak”, soften “Hard Landing” with tender acoustic finger-picking, surround “Drowning Song” with an effervescent bubble of notes, and pluck out guitar chords to “Shake Off the Snow”. 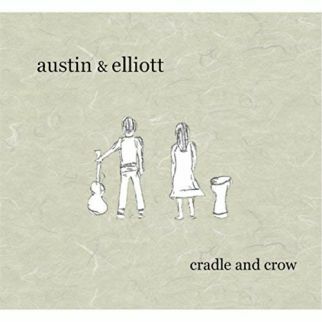 Cradle and Crow is the third album release from Austin & Elliot (Chris Elliott – vocals, guitar and Lisa Austin – vocals, banjo, hand drum). Sharp strums underline the message in “Don’t Go Away Mad” while tenderly selected notes are a bouquet for “Fat Man with Flowers” and a thick rhythm offers the advice “If It Ain’t Broke, Break It” as Austin & Elliott walk with determined steps in the hard-hit guitar chords of “Rose on Your Grave”.